Hundreds of pets now have forever homes, thanks to you and Paws in the Park. 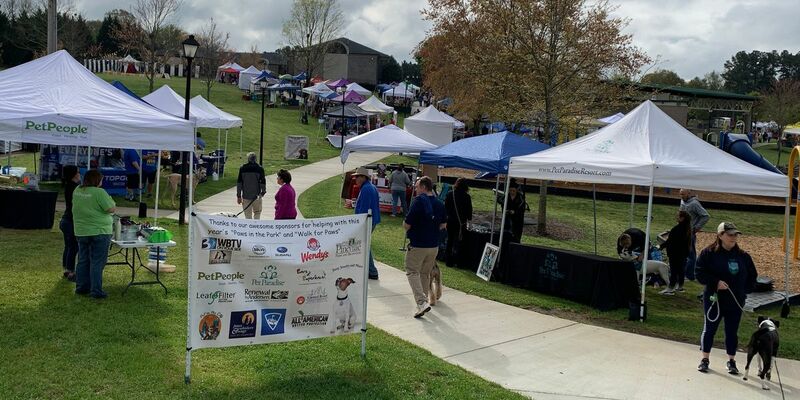 The seventh Paws in the Park, an annual pet adoption event hosted by Charlotte Black Dogs, was held on April 6, 2019 at Pineville Lake Park. Hundreds also attended the event by joining local vendors and adoption agencies to help raise awareness about animals in need in our area. Over 20 rescues and shelters participated in the event, resulting in over 330 pet adoptions. Paws in the Park is one of the largest local gathering of rescues and shelters that hope to make a difference for animals in need. WBTV is proud to be a part of Paws in the Park and Bring Me Home Carolinas. WBTV’s Kristen Miranda was this year’s judge for the dog contest, among several special guests that continue to help make Paws in the Park a success (rain or shine) every year. Planning for next year’s event has already begun! WBTV's Kristen Miranda with WBTV fans at Paws in the Park.